1. Don’t Think You Know It All. You will never know it all and neither will your opposing counsel, or sometimes even the Judge. Early in your family law career you are likely to believe you must prove yourself and your knowledge – to your client, to opposing counsel, and to the Judge. However, you must resist the urge to speak with bravado rather than actual knowledge. While being prepared and knowledgeable is incredibly important, it is OK not to know everything – no one does. Rather, find a mentor or someone you feel comfortable asking questions to and ask them. As your time in practice passes, take the time to learn from each case. Learn from your client about his or her family and its needs. After all, their life is in your hands; it is their children, or financial future you are being asked to protect. Learn from opposing counsel. Your adversary today may become a trusted colleague tomorrow, or even co-counsel on a future case. Learn from the Judge. Remember, they see and hear more cases in one day than many of us may handle in a week. Take the time to sit in the courtroom and watch other cases. You may be surprised at what you see, both good and bad. 2. Resist the Urge to Dabble. The practice of family law is truly a myriad of areas of practice. Right off the bat you need to figure out what your potential client needs. Consider that a person searching for a family law attorney could be seeking divorce counsel, bankruptcy advice, help with a guardianship, someone to facilitate an adoption, an attorney to file a motion to establish paternity or modify child custody, to obtain or terminate child support and many more. As numerous the areas of family practice, there are also the nuances and complications that may arise in each area that can trip up even a seasoned family law attorney. Find one or two areas of family law litigation that truly interest you and focus on those for the first few years of practice. Do not try to be a jack of all trades less you become a master of none. 3. Don’t be afraid to settle the case. Settling a case does not mean weakness, and sometimes it can mean doing what is best for your client. When trying to determine the position to take in a case remember that the relationship of the parties will likely continue long after you and opposing counsel are long gone. Do not let personal feelings between you and opposing counsel get in the way of doing what is best for your client. When considering settlement remember that it can provide the chance for creativity in drafting workable agreements that would otherwise never be reached through litigation. Settlement also frequently provides a quicker end result for a family who has been hurt by the divorce process. Learning when and how to give and take can create a positive outcome to a negative situation is important in all areas of practice, but is essential in the practice of family law. In settlement rarely are there winners and losers. Rather, both parties are likely to be satisfied with an outcome they helped create. Finally, pursuing settlement frequently results in lower costs for your client which can be a great consideration if representing a party that while having a great chance for a positive outcome at trial can ill afford to litigate. 4. Remember common courtesy. Often you will receive a request from opposing counsel for a short continuance of a scheduled proceedings or extension of time to respond to a discovery request. While your client may not want to do so, if granting the continuance will not result in harm of prejudice to your client, do it anyway. Explain to your client that you will be practicing in this legal community long after their case resolves and you will one day, maybe even at a later time in his or her case, require a similar courtesy. You do not want to become the person around town most known for being unreasonable. 5. Maintain your reputation. It can take a lifetime to build a great reputation, but only a moment to destroy it. Your name is the one thing you will always have. If you pride yourself on providing consistently good work, great customer service (for after all our clients are our paying customers and best referral source), and all around general decency in cases you will find that you will garner the trust and respect of others in your field. However, if you act in an unsuitable manner, forget your professionalism and resort to trickery to get ahead you will quickly find that you have become one of the few select attorneys that no one wants to refer anyone to, let alone conduct any exchange with less than a formal writing. 6. The same rules apply. 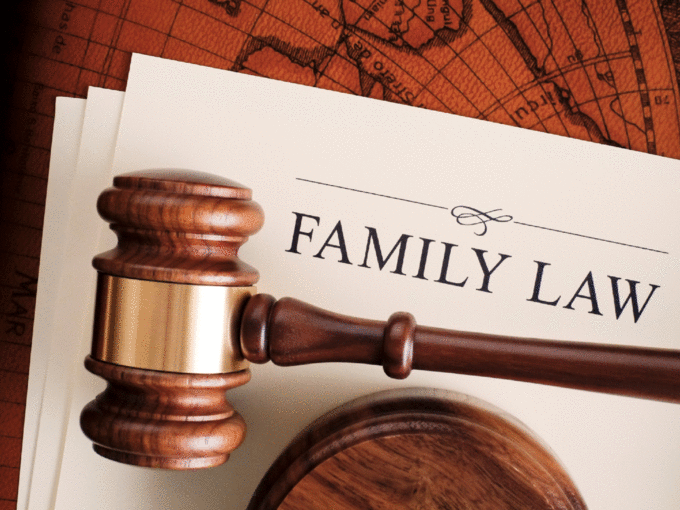 Despite what our counterparts who do not practice in the area of family law may have heard or may think, and unfortunately, even what some of our family law brethren may think, the Rules of Civil Procedure do in fact apply in Family Court. Yes, what we do calls for certain adaptation of the rules commonly used by our civil practice counterparts, such as the need to engage in formal discovery to reduce costs, however when in doubt follow the formal rules established for your jurisdiction. 7. Trust your client – most of the time. Your client knows more about the case than anyone. Where things go wrong is when your client believes hiding or omitting certain facts can help his or her cause. Knowing all the facts, good and bad is the only way to truly help your client get through this divorce or custody action. You must get across to your client early in the case that you need him or her to be completely honest with you, even if it is telling you something that they believe could hurt their case. Similarly, when presented with an abundance of facts from a client, take the time to verify that what he or she has told you is really the truth and not just anxious overstatement. You have a Rule 11 duty to verify your representations to the Court. You do not want to be left holding the bag when a quick double check of facts could result in a very different story. Document your research and you will never go wrong. 8. Network. From participating in local or state bar events to attending an ABA national conference there are literally unlimited ways to meet other family law attorneys. Do not be afraid to introduce yourself. You might be pleasantly surprised at who you meet. 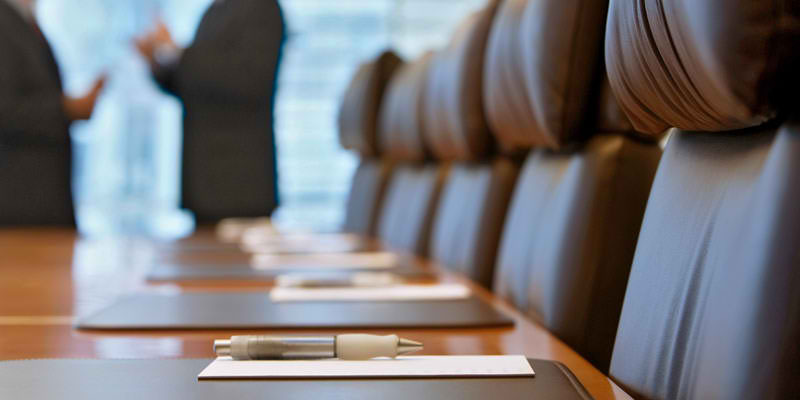 Get involved and join a committee. Participate in a list serve. Even for introverts there are ways to get your name out there and to meet other family law practitioners. Each contact can become a future referral source or just a way to asks questions of others who may have knowledge that can help you help your client. 9. Remain ethical. A discussion with local bar counsel confirmed that the number one area of legal ethics complaints is the practice of family law. As a family law attorney you are likely to be entrusted with your client’s finances prior to division. Resist the urge to “borrow” money that is not yours. There is no faster way to anger a client or possibly lose your license to practice than to “borrow” something that is not yours to begin with. Return those telephone calls from your client. It only takes a short time out of your day to return a client telephone call but it can make all the difference between having a client that feels as if you care about his or her case and having a disgruntled former client make an ethics complaint against you. While you may have multiple cases going at any one time, your client only cares about one case, his. 10. Create a work-life balance. It is OK to have a life outside of the office. In fact, it is imperative. Taking time away from your practice to focus on yourself and your family actually will make you a better attorney in the long run. As a family law attorney you will be asked to provide not only legal opinion but to act as therapist, marriage counselor, and friend. You will have hours to bill, clients to please, and practices to build. Making a decision early in your career to schedule time for family, friends, hobbies, travel and other pleasures away from the office will become a practice you are likely to continue in years to come. You are less likely to feel burned out and more likely to have patience when that needy client calls to discuss a relatively unimportant event as considered in the overall success of the case but which seems like a life or death matter to them if you have taken the time for yourself.